Xiaomi Mi A1 has launched in India which is very different from Xiaomi previous launches. This phone doesn’t contain MIUI skin but stock Android ROM. Yes, Xiaomi Mi A1 is Android one lineup which software updates are directly monitored by Google. Due to Stock experience and better camera performance, this phone has become popular in the mid-range segment. Below are some key specifications of Xiaomi Mi A1. In this guide, we are going know how to flash stock firmware on Xiaomi Mi A1. Flash Stock file of Xiaomi Mi A1 can fix issues like phone slow, screen blink, automatic restart issue. Flash Stock ROM to fix a boot loop issue. 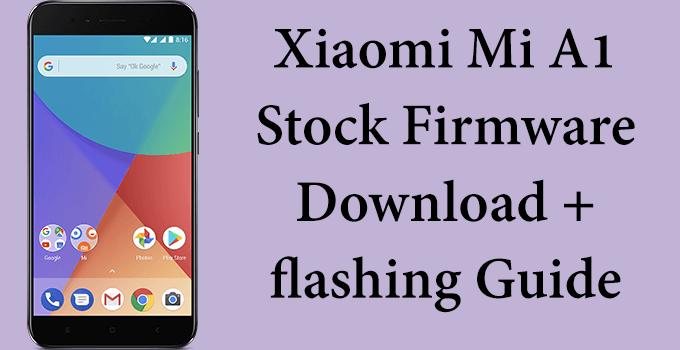 Flash stock firmware on Xiaomi Mi A1 will unroot your device. this will fix problems lead to root apps. This Update is only for Xiaomi Mi A1 device. Mi A1 can be unlocked through a command line. Press the Volume– key and the Power button at the same time to enter Fastboot mode. Now Your Xiaomi Mi A1 bootloader has been unlocked. 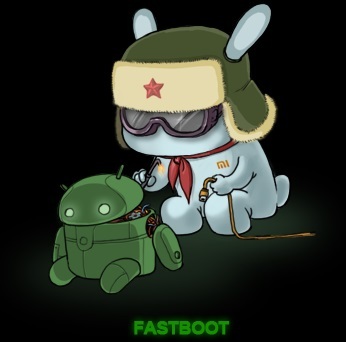 you can download stock firmware fastboot mode file from below link. If are getting any software related issues, you may want to flash stock firmware on your Mi A1. Step 1. First, you have to download the Mi Flash Tool from here. Step 2. Download latest flash file for Mi A1 from above download button. Step 3. Now. turn off the device. Press the Volume– key and the Power button at the same time to enter Fastboot mode. Then connect the device to the Windows PC/laptop via a USB Type-C cable. Step 4. Extract the downloaded ROM file and open the file folder for the decompressed ROM pack, then copy its path on the computer. Step 5. Extract the Mi Flash Tool downloaded in Step 1, and double-click on it to install ( if there is security warning, select ‘Run’). After installation is completed, open MiFlash.exe and paste into the address bar the ROM file folder path copied in the last step. Clean all: All data and user configuration will be cleaned, and the lock state of the device is ‘Unlocked’ after flashing. Clean all and lock: All data and user configuration will be cleaned, and the lock state of the device is ‘Locked’ after flashing. I hope you this guide helped you to flash Xiaomi Mi A1 with stock firmware.